Name: This is the only required field. Description: Add an optional description. Custom Fields: Custom Fields can be created globally for Product Lines. Adding new products is very simple. Just click the “New Product” button and the below form opens. Line: If this Product belongs to a Product Line, you may indicate the Product Line here. Custom Fields: Custom Fields can be created globally for Products. Jira Product Key: This field may be displayed if you have the Jira Integration active in your account. This field allows you to map a TeamSupport Product to a Jira Product. Please read the Jira documentation carefully before filling out this field or the mapping may not work correctly. TFS Product Key: This field may be displayed if you have the TFS Integration active in your account. This field allows you to map a TeamSupport Product to a TFS Team Project. Please read the TFS documentation carefully before filling out this field or the mapping may not work correctly. Adding new products is also very simple. Just browse to the Product that you would like to add the new version to, click on the Versions tab with the Product, and click the “New Version” button. Status: This field is typically Alpha, Beta, Production and Discontinued. 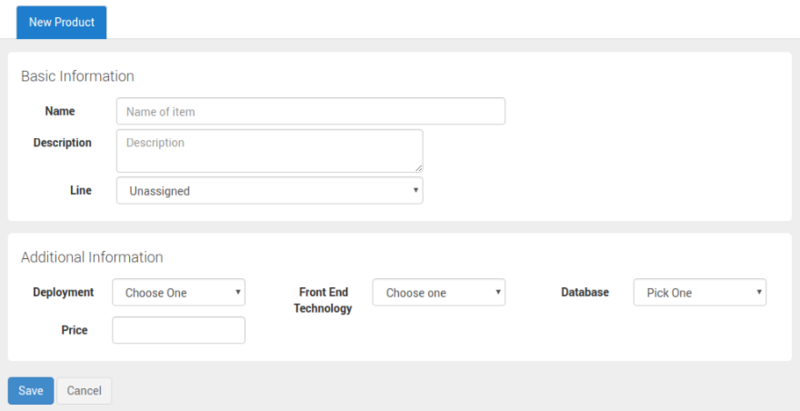 Of course, this drop down is customizable and you have the freedom to create your own. 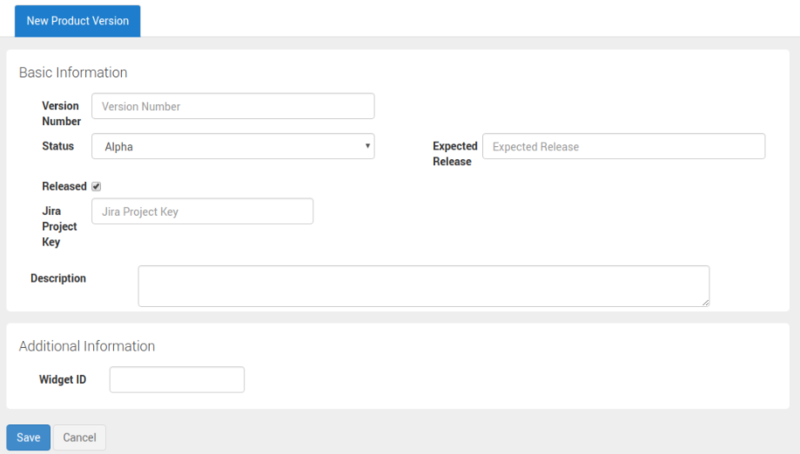 Expected Release: You have the option of indicated the expected release date of the version. Released: This field will indicate to your internal team if the version has been released. Additionally, if this box is checked. the version along with the description information below will be displayed on the Customer Hub. This is a great way to display your release notes to your customers. Jira Product Key: This field may be displayed if you have the Jira Integration active in your account. This field allows you to map a TeamSupport Version to a Jira Product Version. Please read the Jira documentation carefully before filling out this field or the mapping may not work correctly. TFS Product Key: This field may be displayed if you have the TFS Integration active in your account. This field allows you to map a TeamSupport Version to a TFS Team Project Version. Please read the TFS documentation carefully before filling out this field or the mapping may not work correctly.